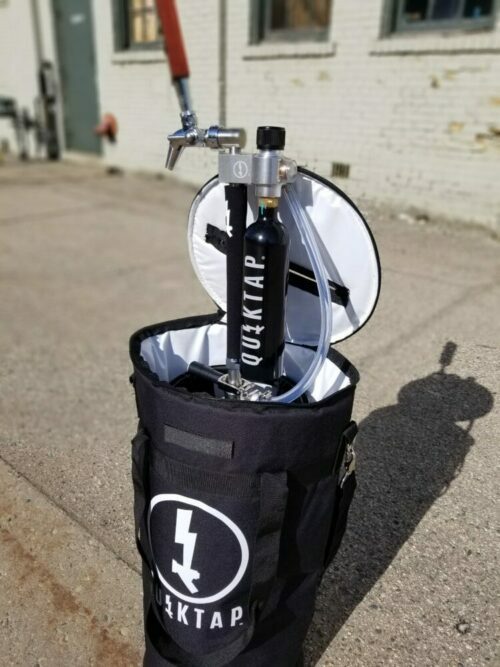 The QuikTap SS – European Import Tap Pak comes with everything you need in a convenient carrying case for European and import style kegs. 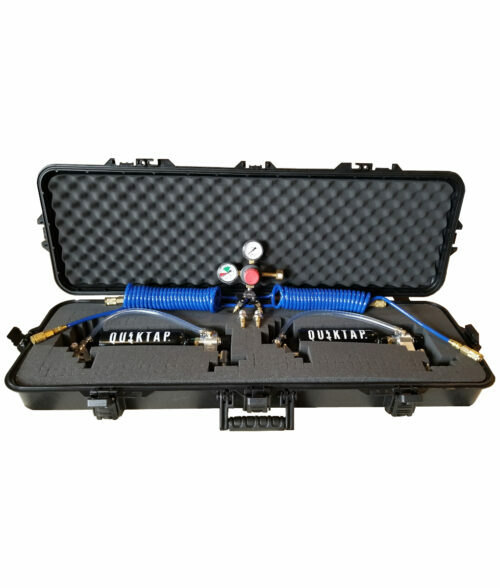 This pak includes your choice of European Import coupler (A,S,G) one QuikTap SS, an extra 12oz refillable CO2 cylinder, and a 10-pack of replacement o-rings. The carrying case has customizable foam inserts with spare room for additional CO2 cylinders, tools, tap handles, or whatever else you need when you’re on the go. Note: Refillable CO2 tanks are shipped empty to comply with shipping safety protocols. 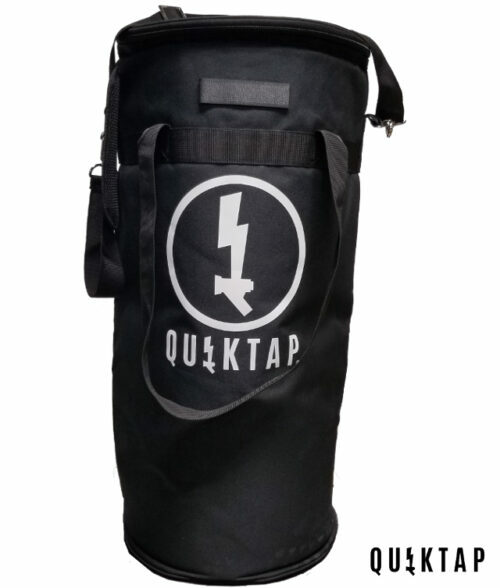 The QuikTap SS – European & Import Tap Pak comes with everything you need in a convenient carrying case for European and import style kegs. 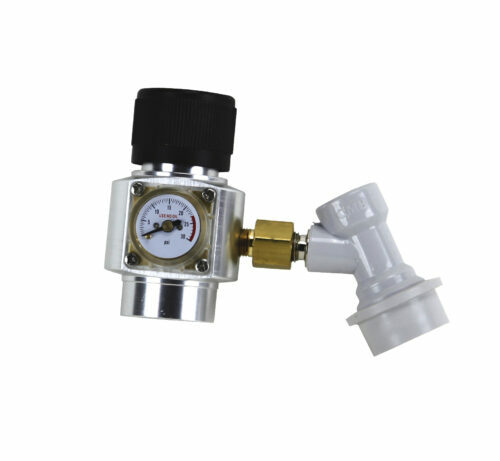 This pak includes your choice of European Import coupler (A,S,G) one QuikTap SS, an extra 12oz refillable CO2 cylinder, and a 10-pack of replacement o-rings. The carrying case has customizable foam inserts with spare room for additional CO2 cylinders, tools, tap handles, or whatever else you need when you’re on the go. For a list of popular brands and coupler styles click here. 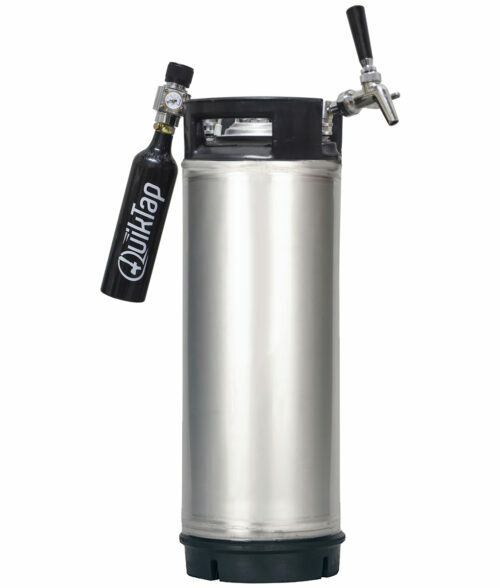 The QuikTap Portable Co2 Keg Tap combines all of the benefits of a commercial draft system into one convenient, truly portable package. 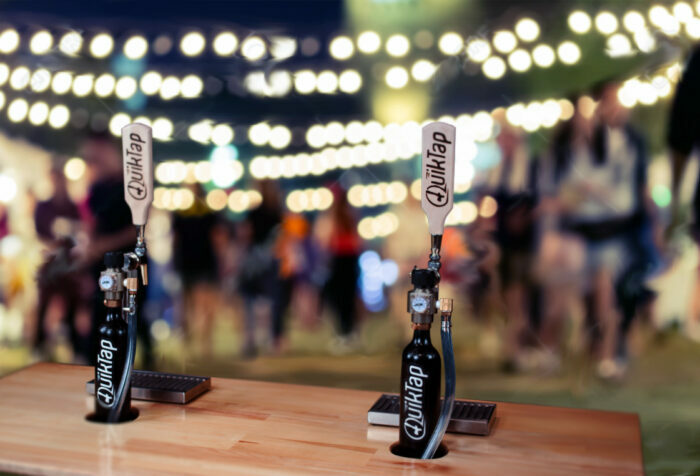 The QuikTap dispenses beer with a continuous supply of adjustable CO2 pressure. By preventing oxygen exposure, beer stays fresh and carbonated as long as the date codes set by the brewery. For the ultimate control, all QuikTaps come with an adjustable, flow-control faucet. These all-stainless faucets are the best in the biz allowing the user to add restriction for serving highly carbonated beers or even soft drinks. 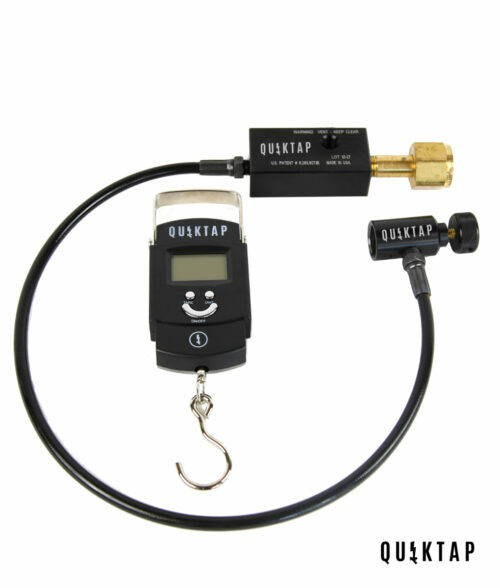 Weighing in at just over 5 pounds, the QuikTap is extremely simple to use, sets up in seconds, and easy to clean up. 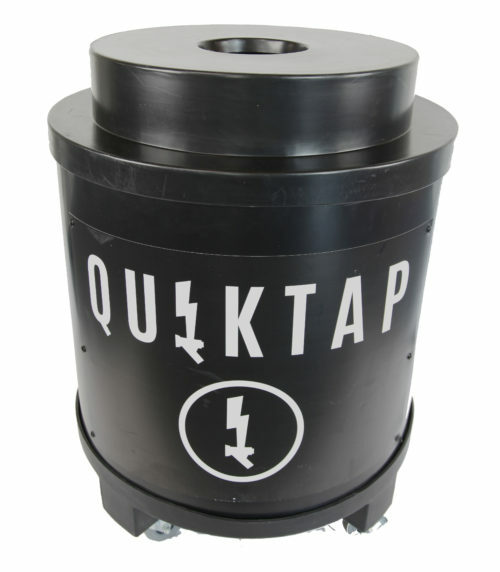 QuikTap brand cylinders are refillable, food-grade and contain enough pressure to dispense approximately 15 gallons at 5-8psi. Important information regarding Prop. 65 for California residents.